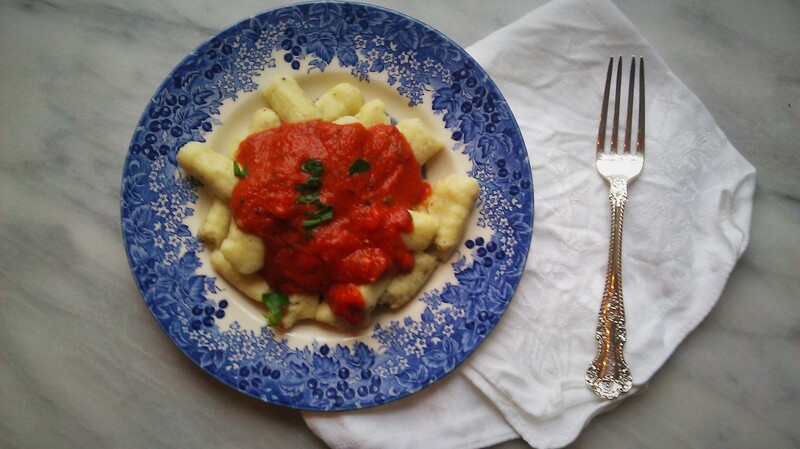 Gnocchi and Creamy Tomato Sauce | happyspinach etc. Most all of my posts pertaining to Valentine’s Day have been unabashedly sweets orientated. Today, though, I thought that a savoury yet romantic dish was in order, as none of us can survive on sugar alone. 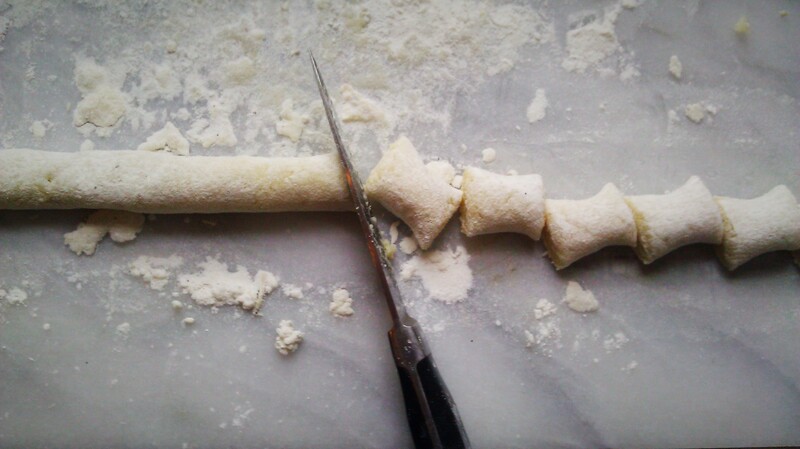 I think one of my favourite parts of making gnocchi is that it is so soulful–every step seems to be steeped in tradition and ancient love. That’s why I think this is the perfect dish to make for your loved one this Friday. Special thanks to my sister Abigail for helping with the photo shoot! 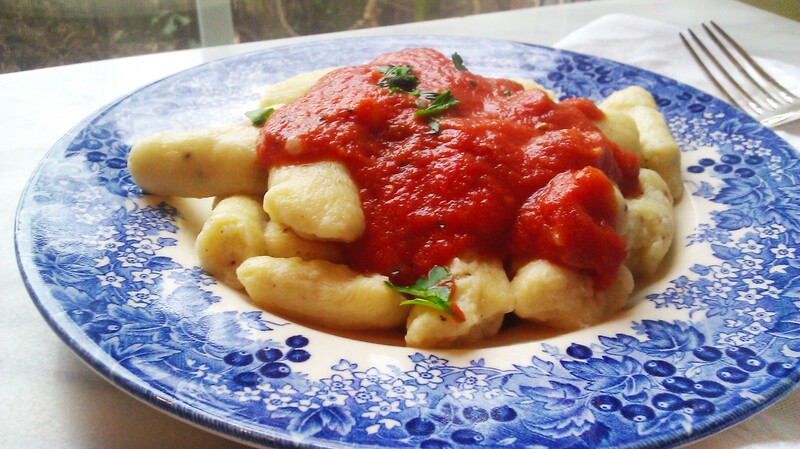 While easy to make, gnocchi dough can be temperamental, as the recipe suggests. Don’t let that sway you, though. You just need to keep in mind the moistness of your potatoes, the weather, the size of your eggs, etc. 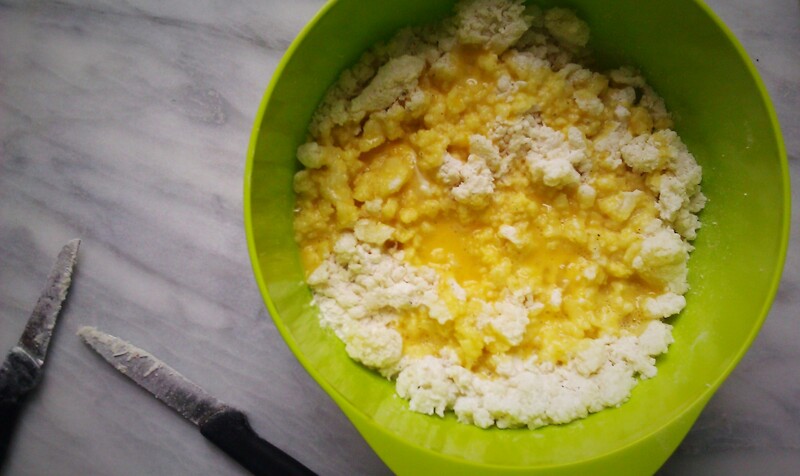 Just gingerly tweak the amounts of flour and egg as necessary (beating an extra egg to pour some in if you need to, for instance). Just go with your instinct and you’ll be good. Begin by scrubbing your potatoes well and place them in a pot full of cold water. Bring to a boil and cook until the potatoes are nearly done, about 30-40 minutes, depending on their size. A knife inserted should go in with little resistance. Pull the potatoes out of the water and peel them while they’re hot. I find the best way to do this is to lay a thick towel in one hand and the potato in that, and then to use a paring knife to gently peel the skin away. Once the potatoes are peeled, place them on a plate and allow them to cool completely. Once the potatoes are cool, using the fine side of a box grater, grate the potatoes. By this time a bit of a “second skin” will have formed outside of the potatoes, but don’t worry about it. It won’t grate, so you can just discard it as it comes off. 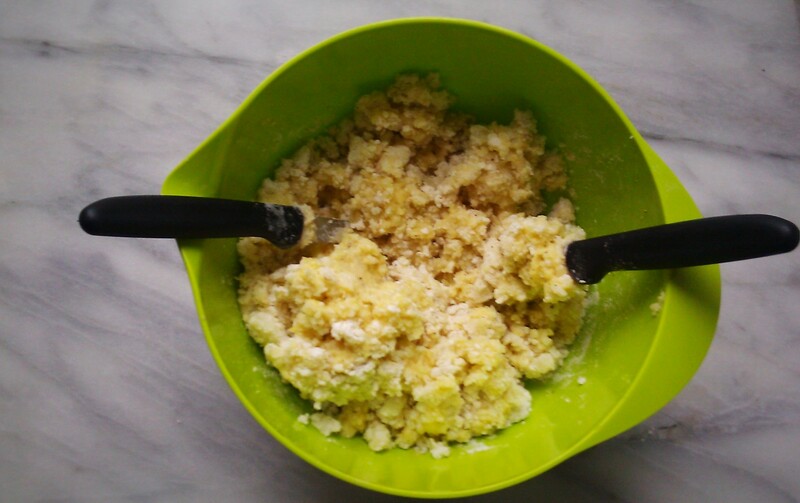 Place the grated potatoes in a medium large bowl and set aside. 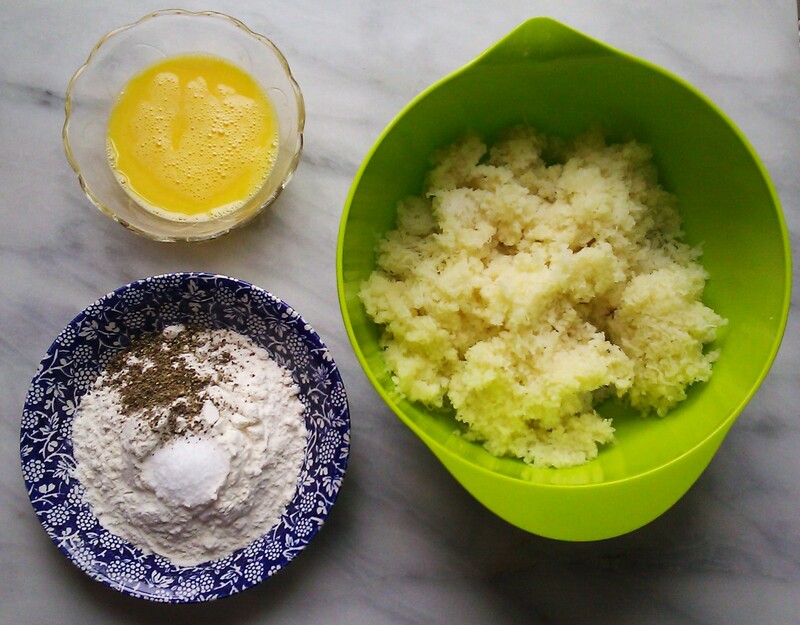 In a small bowl, combine the flour with the teaspoon of kosher salt and the black pepper. Sprinkle the flour mixture over the potatoes and, using two knives, cut the flour into the potatoes. Using knives instead of your fingers or a fork will help to keep the potatoes aerated. Pour the beaten egg over the potatoes and use your knifes again to incorporate the egg into the potato mixture until it’s combined for the most part. There will still be patches of egg and flour mixture, but that’s all right. 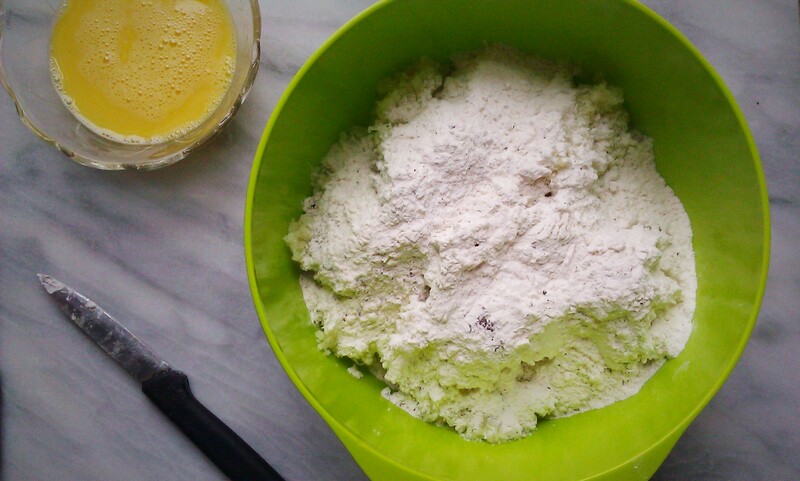 Turn the mix out onto a lightly floured surface. At this point, your dough will probably be quite sticky, but before you add more flour, knead it a bit. 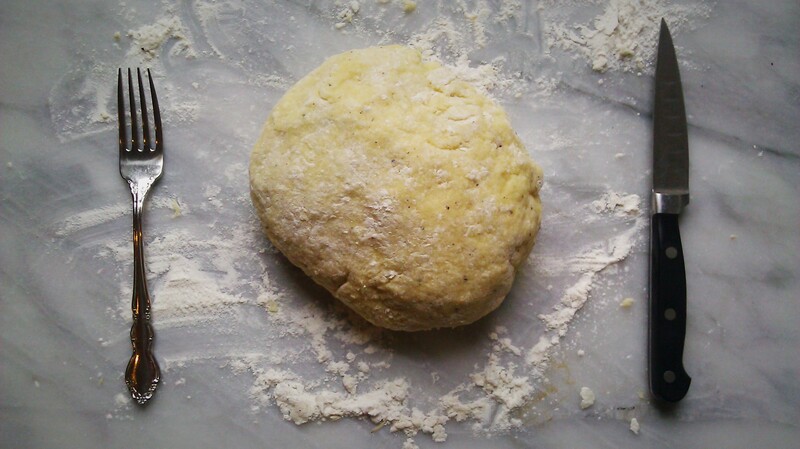 When kneading, do it with a very gentle touch, being sure not to work the dough too much. If needed, add a bit more flour. The finished dough should be soft and tender with a billowiness to it. 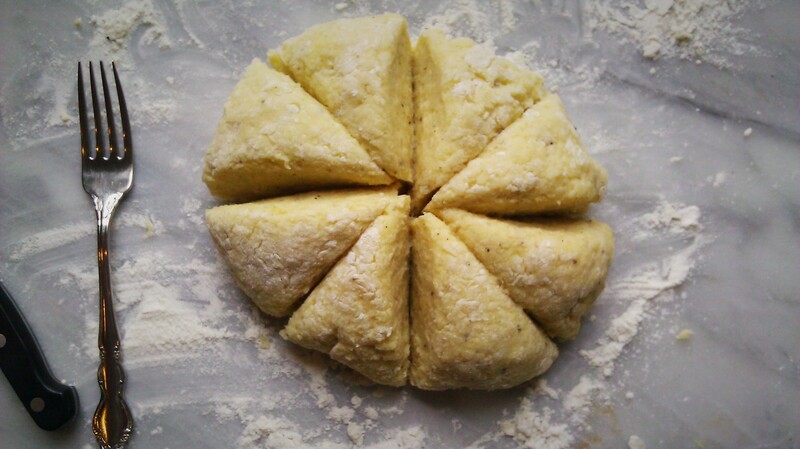 Once the dough has been kneaded sufficiently, form it into a disk and cut it into eight wedges. Set aside seven of the wedges and work on the remaining one. On a lightly floured surface, roll the wedge out into a length about the same thickness as your thumb. Cut it into 3/4 inch bits and do the same with the remaining dough. 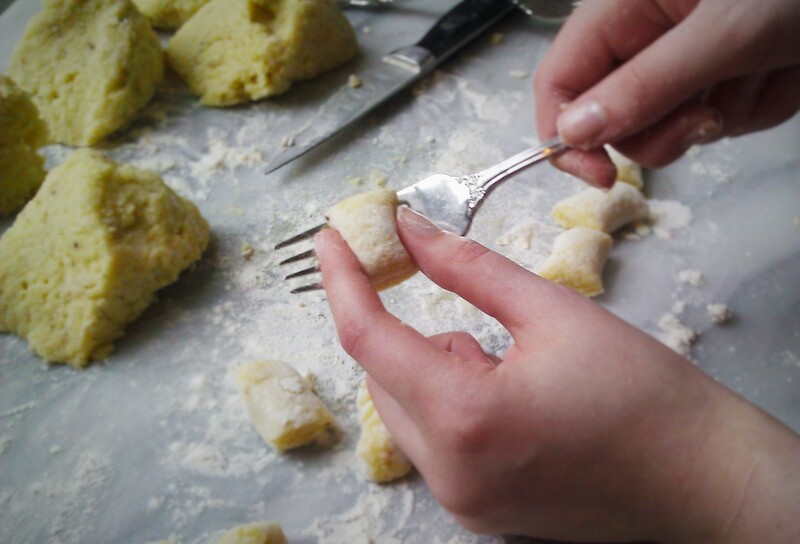 Once you have made your little potato pillows, roll them along the tines of a fork to create that famous pattern. 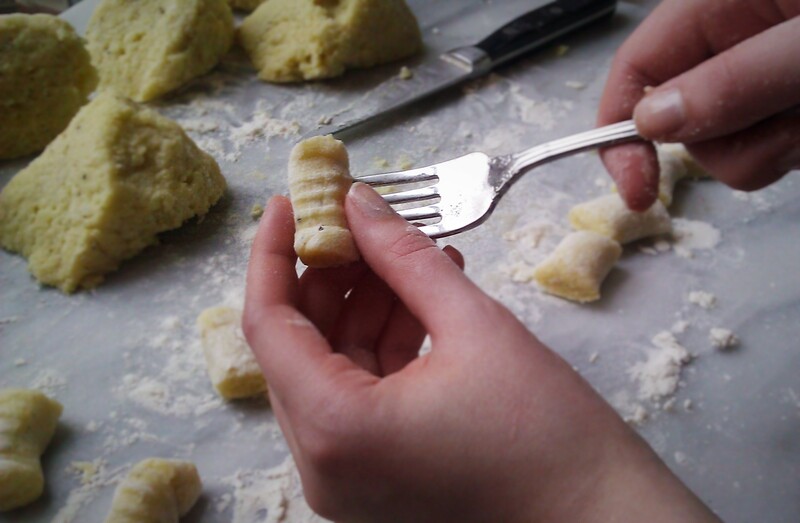 Once you have done that, place the gnocchi on a floured baking sheet until you’re ready to cook them. When ready to cook, bring a large pot of salted water to a boil. Preheat your oven to its lowest setting and place several plates in it. Once the water is boiling, add in about 15-20 gnocchi, depending on the size of the pot. 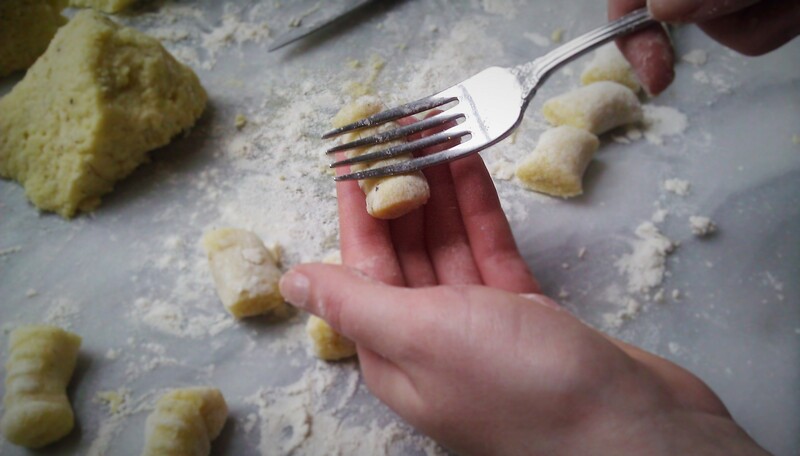 As the gnocchi begin to float, spoon them out with a slotted spoon and place them on one of the plates in the oven, being sure to keep them in a single layer. 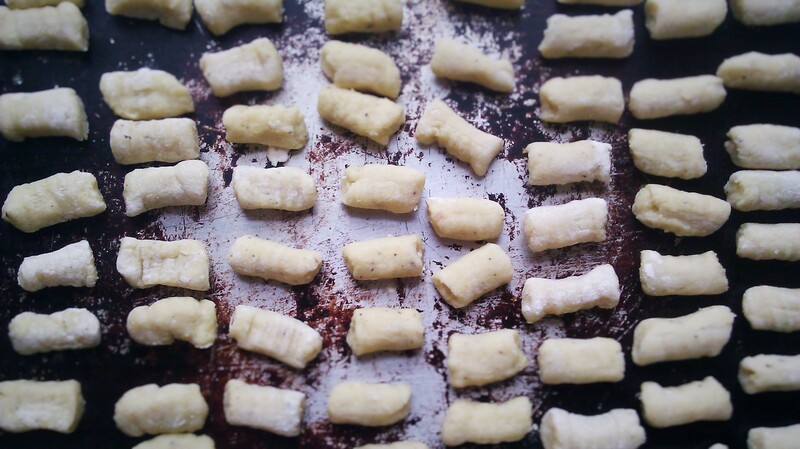 Continue until all of the gnocchi have been cooked. Serve with creamy tomato sauce and extra parsley. 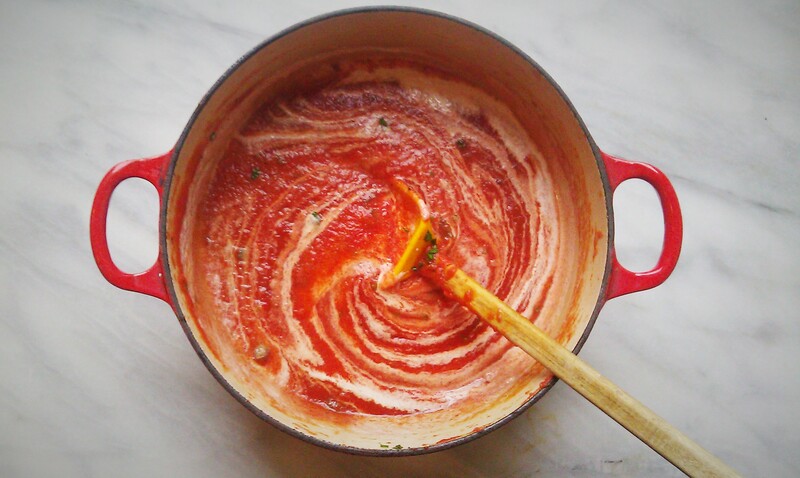 In a heavy bottomed medium sauce pot, heat the olive oil and butter over medium heat. Add in the garlic and saute for about 30 seconds. Pour in the tomato puree and mix well. Add in salt, pepper, and sugar. Heat the sauce and let simmer for about five minutes. Taste and adjust the seasonings as necessary. When you’re ready to serve, add in the parsley and the cream, tasting and adjusting seasonings once more. This entry was posted in Holidays, Pasta, Potatoes, Tomato and tagged gnocchi, Italian, Lang Leav, Pasta, Potatoes, romantic dinner. Bookmark the permalink. Wonderful! Well, if you need any help or have any questions, just ask. I’ll be happy to try and help!